The subject of tipping is a touchy one. No one wants to be called “cheap,” yet people can disagree reasonably about what that means. As someone who eats at or takes out from gratuity-based restaurants (as opposed to McDonalds) three to four times times a week, here’s my two cents. Yet when it comes to a tip, suddenly every dollar takes on great importance. We look at the final tab, which can be higher than we thought, and are reluctant to reach deeper into our pocket. Instead, we rationalize that $10 may only constitute a 15% gratuity, but it’s still a healthy gratuity. Tip for tat. 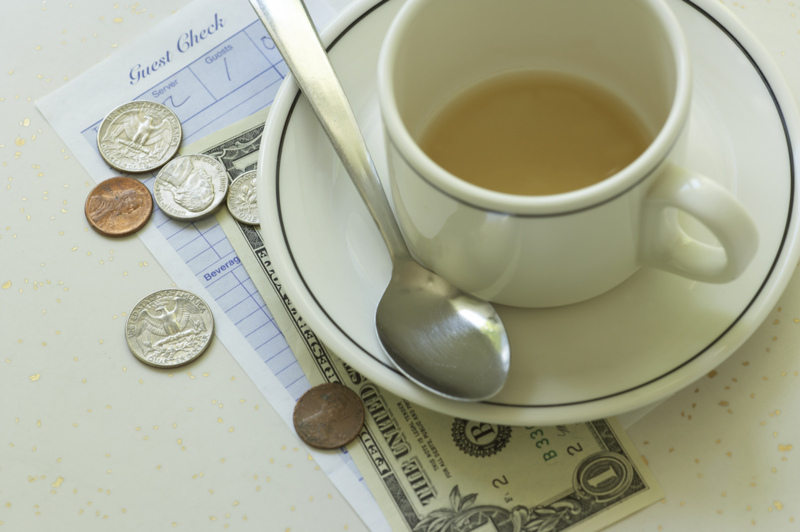 Assuming you frequent the given establishment, you want to be known as a good tipper. Good tippers get good service. Aren’t a few extra bucks worth the extra attention they engender—whether additional roles or chips and salsa, or never having an empty glass? While a waiter can’t turn a dry cut of meat into something zesty, she can make sure that your dining experience (temperature, noise, delays, etc.) is as enjoyable as possible. Of the all the things to cut corners on, tipping shouldn’t be one of them—for the waiter’s sake and for yours.